ECOMMERCE | Synconics Technologies Pvt. 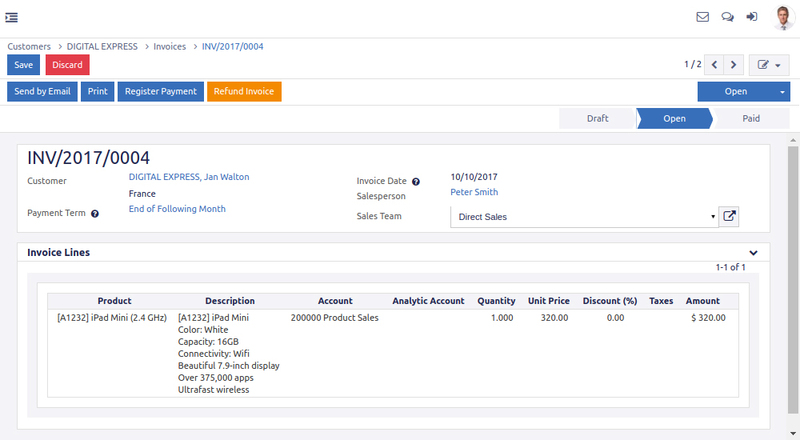 Ltd.
Inline Editing: Create product pages using Odoo's unique 'edit inline' approach. No code required, what you see is really what you get. Building blocks system: Create your product page from scratch by dragging and dropping pre-made, fully customisable building blocks. Describe products in a table to give maximum of specifications. 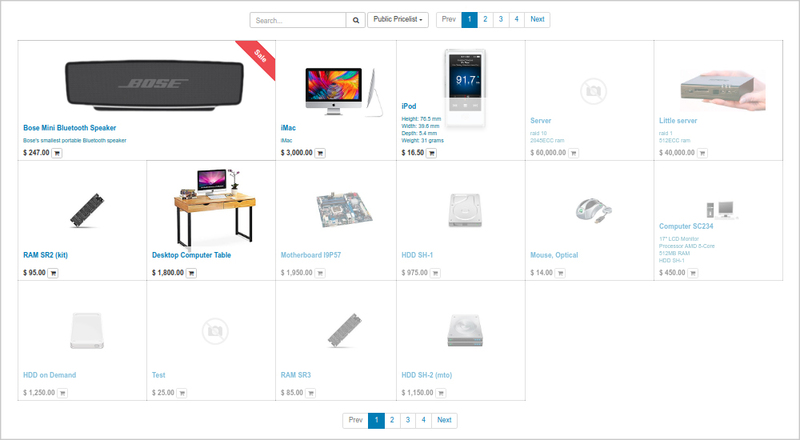 Price-lists, products and stores: Create flexible price-lists, add variants to add to products options, and create multiple stores under one environment. Display available stock on products. Product variants creation: Create a product available in several variants, like size, colors or other attributes. 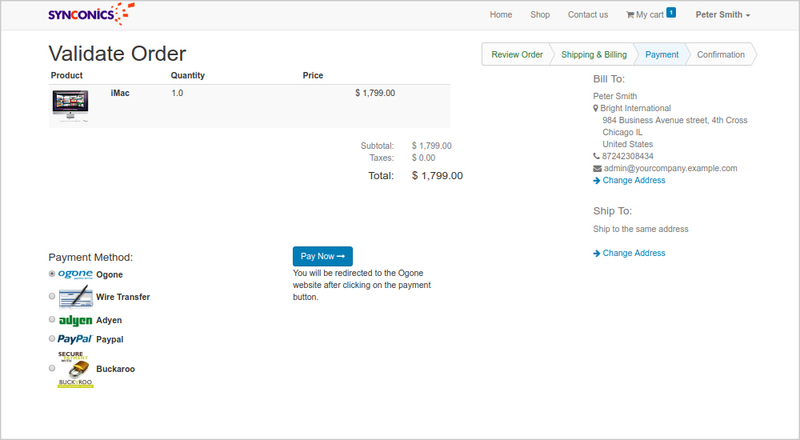 Calculate & Bill Shipping Costs: Get delivery costs computed automatically using Odoo's embed Delivery Method configurator. Integrated Accounting package: Odoo’s chart of accounts contains national taxes, fiscal positions, accounts. Tax rates: Fiscal positions allow you to adapt tax rates to the whereabouts of your customers. Chart of accounts: Use the Custom package template to build your own chart of accounts. It embeds a set of generic preset accounts, taxes and more. Cross-selling and Up-selling: Suggest optional products related to items to increase your revenues. Promotional or coupon codes: Encourage potential customers using promo codes and coupons. Options to boost sales: Define product categories, use attribute search, focus on promotions, coupons or gift certificates and push best products to the top of your page in order to multiply your sales. 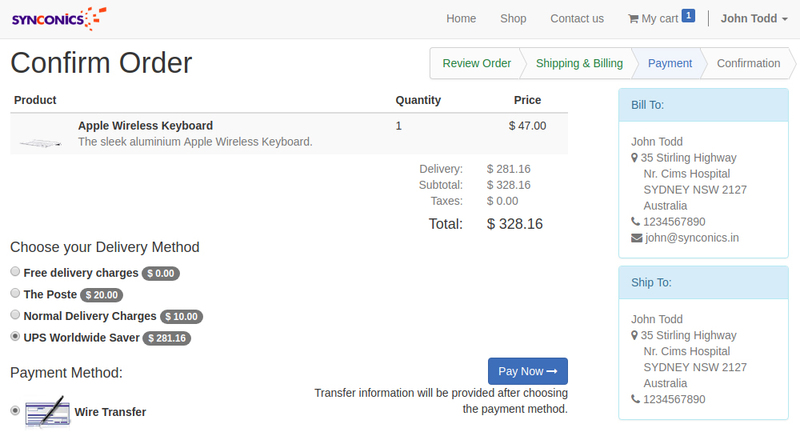 Customer onboarding: Setup step by step instructions to help customers go to checkout with no blocking issues. Guest & registered user: Customers can choose to create a user profile or as guests. Registered users can retrieve their contact information upon check out and access a portal including related messages, orders, invoices, registered claims, etc. Skip shipping address: Shipping address no more required when providing only services. 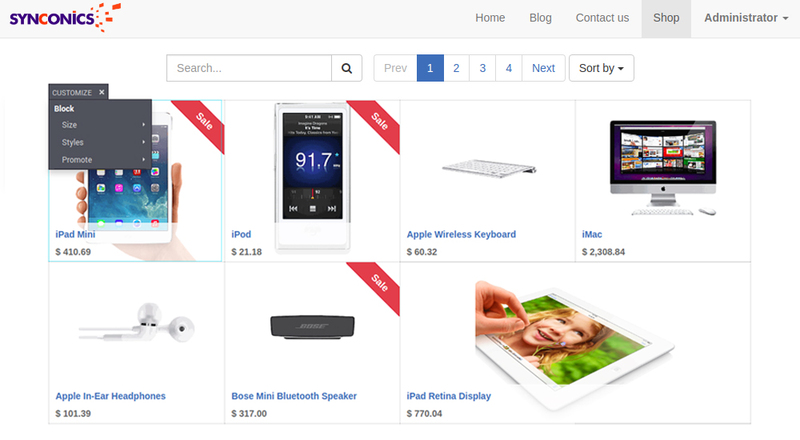 Live chat embedded: Provide your visitors with information in real time directly on your website, and secure your sales. Shipping address no more required when providing only services. 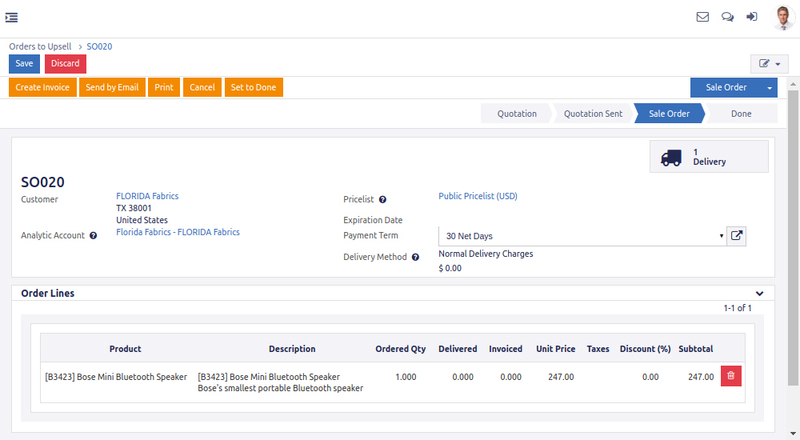 Customer portal: Access tracking of orders, advanced shipping rules and return management through the customer portal. Order review: See details of your order at the end of the process. Allow customers to pay with Authorize.net, Moneris, Paypal, Ogone, Adyen, Buckaroo and SIPS Wordline. Online payment methods redirect customers to a 'Thank you' page on your website. Speed up your order fulfillment with easy integrations for major shipping carriers and track your packages directly from Odoo. Select across multiple rates from shipping providers and print shipping labels with just a click. Highlight the best product in terms of quantity sold. Find the best customer in terms of revenue. 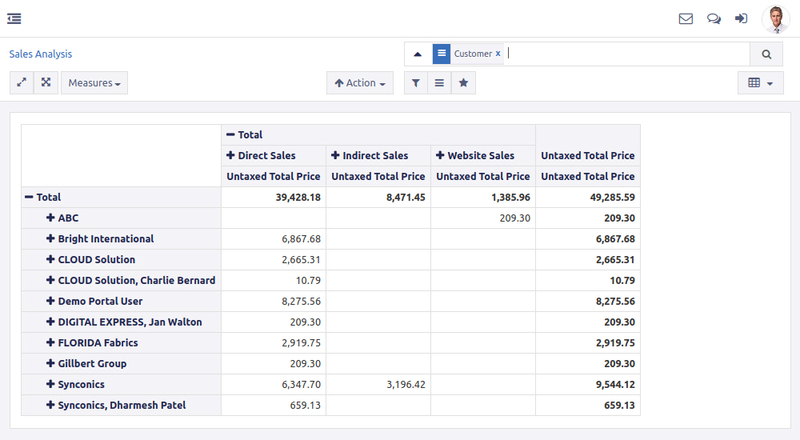 Display a graph with your monthly sales per product and add it to your Dashboard. Group your Sales by Partner and display the products in the column header.